Introducing Quarkus.io. The rise in popularity of the linux container as the primary way to package your application seemed like a simple change on the surface. Yet, as we saw with the Java Docker Fail problem, it was not a transition completely without challenges for the Java community. Furthermore, we have now seen a number developers at many organizations considering a move to Node.js or Golang to get the performance and tiny memory footprint they need to run in a Kubernetes and cloud environment. 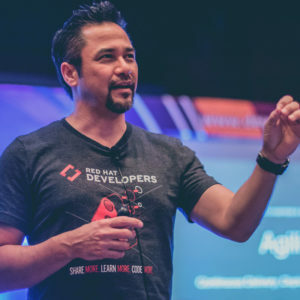 In this session, we’ll demonstrate how you can optimize your enterprise Java apps, your APIs, your microservices, and your “serverless functions” for a Kubernetes/OpenShift and cloud architecture —vastly smaller, vastly faster, and fundamentally more scalable. Tickets for ETE are officially sold out! Want to be added to the waiting list? Please sign up here.